The cerulean blue in the flag represents fidelity. It also reflects our tropical sky and our surrounding waters, the Caribbean Sea and the Atlantic Ocean. The gold in the flag represents the sunshine in the Caribbean as well as prosperity. 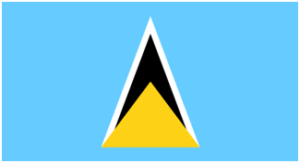 the three triangles in the centre of the flag, symbolizing the island’s famous twin Pitons, rising sheer out of the sea—towards the sky, a symbol of hope and aspirations of the people. Love, oh love, our island home. 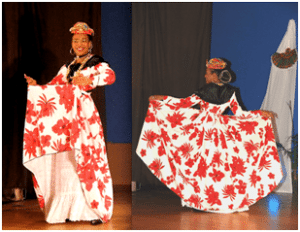 The Wob Dwiyet is a traditional French style dress worn by women on special occasions. It is a long one piece dress with a train, made of bright colored fabric, sometimes brocaded satin with floral designs. The back is full, with a pleated seam at the waist. A tie extending from the sides and tying in front holds the dress in place. It is worn over a lace petticoat (slip) which appears when the dress has been lifted on the right or on the left. The sleeves are always long, and the neck can be round or heart-shaped. In order to avoid being hampered by the train, the wearer picks up the folds of the dress and elegantly throws it over the left or right arm allowing the long petticoat to show. The foulard, a triangular scarf made of satin material with the apex at the centre of the back, is worn around the neck and shoulders and is held in place by a brooch. The head-dress worn with the Wob is the “tête case” and is a flat version of the headpiece. It is made of the same material as the dress, or of madras. It has a peak called provocacion towards the front, and a gold pin or brooch is attached to the base of the peak. Bracelets, large hoop earrings and necklaces complete the ensemble. 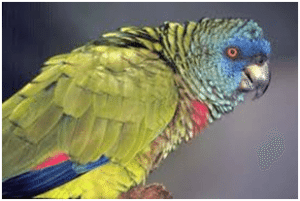 The National Bird of St. Lucia is the St. Lucian Parrot (the Amazona versicolor or jacquot). It is a large beautiful coloured bird found only in St. Lucia, mainly in the rain forest reserves. The body plumage is predominantly green and its head is blue and turquoise. 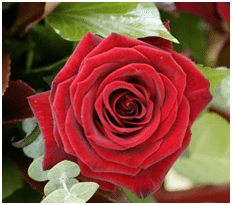 The Rose and the Marguerite are the symbols of the two flower societies of Saint Lucia. 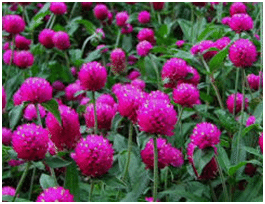 They emerged as winners of the National Flower Competition in September 1985. The National Flowers are associated with the Flower Festivals; The La Rose which is celebrated on August 30th and the La Marguerite celebrated on October 17th. The National Plant is the Bamboo and The National Tree is the Calabash.